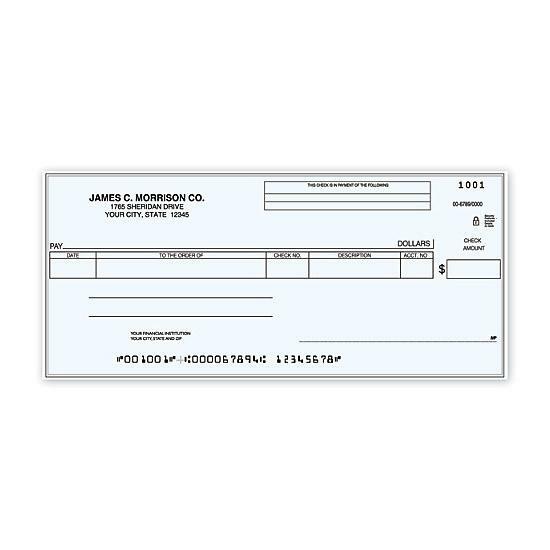 These versatile checks incorporate High-Security features and work well for accounts payable and other general business expenses. Record payment information on end-stub vouchers. Envelopes: Order matching envelopes 712-1 SELF SEAL or 742-1 GUMMED. Additional customization options include premium check color for an extra charge. Custom logo also available. 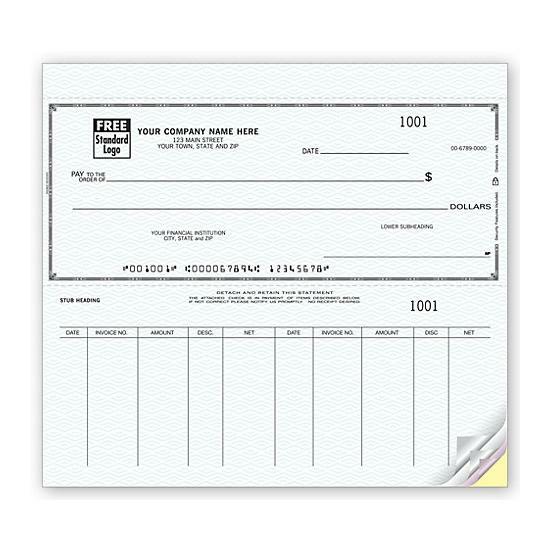 Side tear checks are perforated for easy check detachment, leaving a permanent transaction record. Binder checks feature a classic end-stub design, with side tear vouchers punched to fit a 7-ring binder (54255N) sold separately. 2-part option provides convenient duplicate checks. 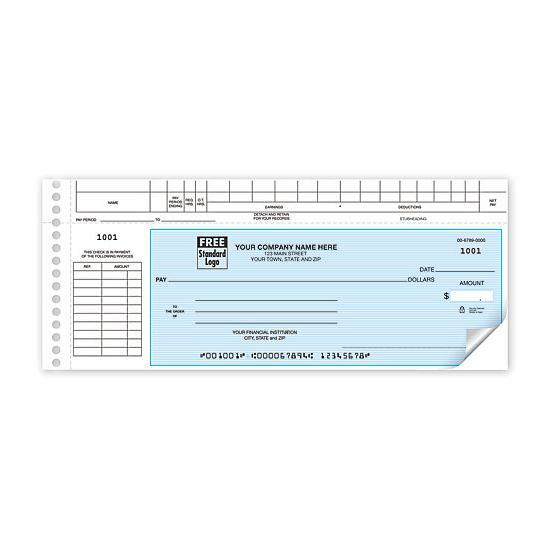 Manual business checks feature built-in security trusted by 7,000 financial institutions nationwide, including chemically sensitive paper, microprint border, invisible fluorescent fibers, erasure protection, security screen & warning box. Standard Check Designs: Blue generic HSecurity, Green Generic HSecurity, & Maroon Generic HSecurity. 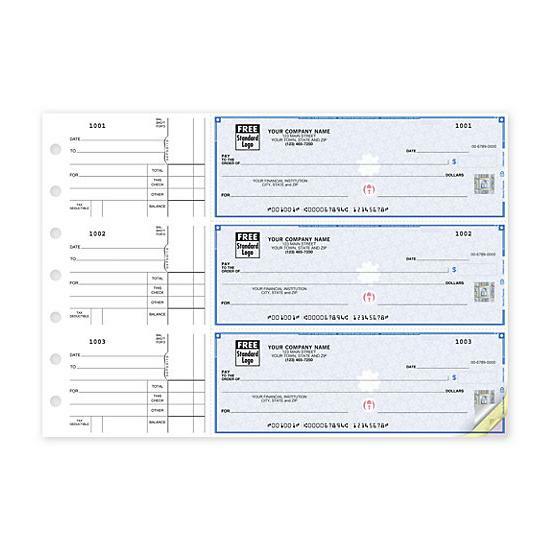 Hole Punch to hold checks in folder or binder. Retain Stubs in the folder. Prices include: Printing your heading (up to 5 lines), your financial institution heading (Up to 3 lines), numbering and MICR encoding. Sheaves of 25.